1. First Of All Download YesPay App From Here. 2. Now Complete Sign Up Process Using Phone No. 4. 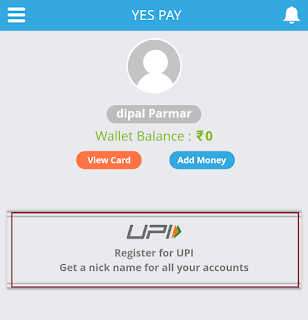 Now Click On Register For UPI. Follow Instruction and complete steps. Now Choose your VPA address. 5. That's it. Now You will get Rs. 20 YesPay Wallet Balance. 6. Simply use this wallet balance for Free Mobile Recharge or Transfer it to your main account. Multiple Bank Accounts Registered on multiple Phone Numbers. 1. Transfer Your Rs. 20 YesPay Amount To Main Account. 2. Now Clear App Data And Force Stop YesPay App. 3. 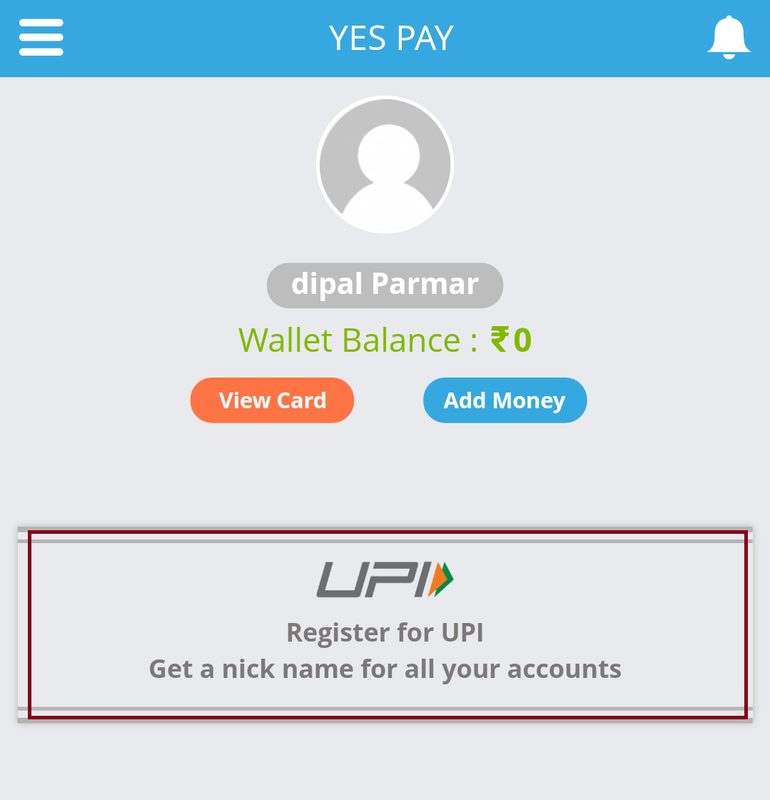 Now Register With New Account On YesPay App. 3. Tha't It. Follow Above steps and you will get Unlimited times 20 Rs. On YesPay App. 1. Firsy Open YesPay App On your device and click On View Card Option. 3. Now open paytm and add money option. 4. Now enter amount and click next. 5. Open paytm payment page and paste your yespay vcc card details and complete transaction. 6. That't it. Your yespay wallet money credited to your paytm account. 7. You can also Transfer your wallet amount to bank account directly from yespay app.